The Alfa Romeo MiTo and Alfa Romeo Giulietta ranges have both received new trim levels. A new Collezione specification is available in both models, while a new Sprint Speciale version joins the Alfa Romeo Giulietta range. The Collezione versions are the new flagships of their respective ranges, offering a more 'luxurious and elegant specification' than the sporty QV Line models. In the case of the Alfa Romeo MiTo Collezione, standard equipment includes 17-inch 'Collezione Bronze' alloy wheels with matching bronze-effect door mirrors and satin-effect headlight and tail light surrounds. The interior is trimmed in special Collezione cloth and 'eco-leather' upholstery, with brown stitching on the flat-bottom steering wheel, gear knob and handbrake gaiter. A split-folding, three-seat rear bench, sports dials, special Collezione vintage floor mats and a Uconnect NAV infotainment system with TomTom satellite navigation and DAB radio round out the flagship spec. Offered with a choice of a 0.9-litre TwinAir Turbo 105hp or 1.4-litre Turbo Petrol 140hp engines (the latter with Alfa's six-speed ALFA TCT twin-clutch transmission and uprated Brembo brakes as standard) the Alfa Romeo MiTo Collezione is priced at £17,660 OTR and £19,210 OTR respectively. The Giulietta Collezione builds on the high specification of the Exclusive trim with a gloss-black painted roof and matching door mirrors, front and rear parking sensors and unique, dark-finish, 18-inch multi-spoke alloy wheels. Inside, the seats are trimmed in bespoke 'Collezione' leather with heated front seats, joined by a 6.5-inch Uconnect NAV system with advanced voice operated sat nav with 3D mapping and DAB digital radio as standard. 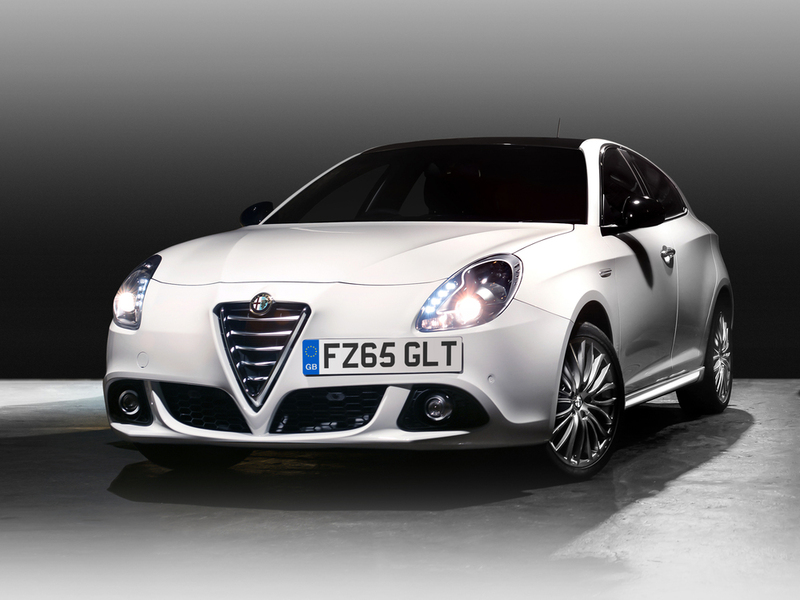 Prices for the Giulietta Collezione start at £24,820 for the 1.4 MultiAir Turbo Petrol 170hp six-speed manual, or £26,245 with the six-speed Alfa TCT twin-clutch transmission. The diesel Giulietta Collezione range starts at £25,680 for the 2.0 JTDM-2 150hp manual, with the 2.0 JTDM-2 175hp ALFA TCT version completing the new Collezione range at £27,840. A new Giulietta Sprint Speciale also joins the range, building on the specification of the Sprint model to offer further performance-oriented equipment. The Sprint Speciale adds sports suspension, 17-inch sports alloy wheels, Brembo brakes, aluminium pedals and Quadrifoglio-style sports seats as standard, along with dual-zone climate control, rear parking sensors, special silver dashboard trim, the 'Visibility Pack' and cruise control. The engine range includes the 1.4 TB MultiAir 150hp, priced from £23,320 with a six-speed manual or £24,745 with the six-speed ALFA TCT (including steering-wheel mounted paddle-shifters). The Alfa Romeo Giulietta Sprint Speciale powered by the 2.0 JTDM-2 150hp is priced from £24,180 while the 2.0 JTDM-2 175hp ALFA TCT version is priced from £26,340 OTR.